Bright Promises Foundation is partnering with Illinois Action for Children (IAFC) as a part of the Social Emotional Learning at Home Initiative. Like Bright Promises, IAFC believes in building strong families and powerful communities where children matter most. As children’s first and most important teachers, the role of parents and caregivers is essential to help children -- especially children of color and those growing up in poverty-- to develop positive social and emotional competencies that will serve them throughout their lives. Bright Promises is working with IAFC to build the capacity of IAFC staff to engage parents/caregivers and help them to intentionally promote social emotional learning at home. 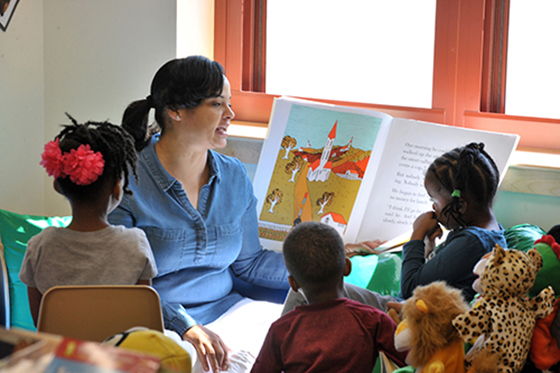 Through a multi-year partnership with Bright Promises, IAFC is developing an SEL parent curriculum and training model for parents of children ages 0-5 that will eventually be utilized at all of IAFC’s 15 sites throughout Cook County, and that will also be shared with 5 partner school districts. So far, with Bright Promises support IAFC is providing multigenerational SEL programs that are positively impacting the lives of 265 children and 398 parents each year. This year, we are excited to continue to partner with IAFC to expand this work to reach even more children and families in need. Why do you think it is important to help youth find and use their voice even before they are school-aged? Dr. Theresa Hawley - As with almost all areas of human development, the ability to advocate effectively for oneself is rooted in early childhood learning. In early childhood programs, children learn to “use their words” to express their emotions, and learn to appropriately seek help from adults and peers. Kindergarten teachers will tell you that this kind of social-emotional learning is the most important foundation for success in elementary school. Bryan Stokes - Even before children can speak, they use whatever means are available (laughing, crying, moving towards and away from people or things) to express their thoughts, feelings and needs. From a young age, children learn about the power of their voice and how to use their voice to express their creativity. Two year olds learning to say “no!” to everything and four year olds making up silly rhymes and songs are part of a continuum of skill development that leads to teenagers who can write protest poems and adults who can peacefully resolve conflict. 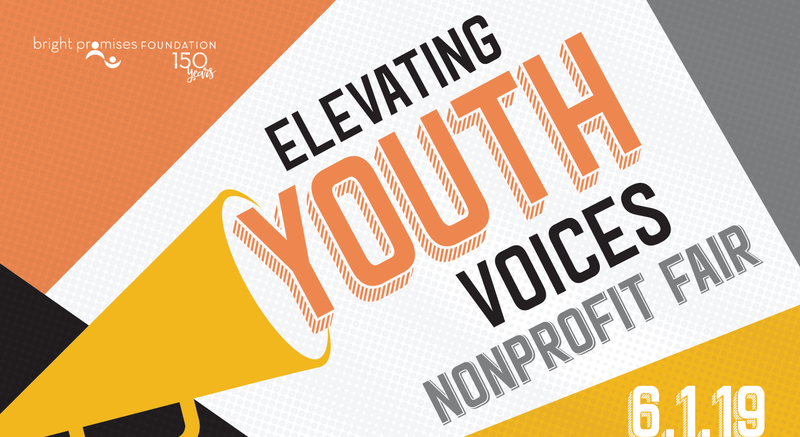 How can parents and caregivers help elevate youth voices at an early age? Dr. Theresa Hawley - Relationships are at the heart of supporting children’s development. When parents and caregivers respond to children’s earliest attempts at communication, and their efforts to communicate their thoughts and wishes, children learn that they can influence their world and develop a firm sense of efficacy that is the foundation of later self-advocacy. Bryan Stokes - Parents and caregivers elevate youth voices by modeling and by listening. Through watching the adults in their lives use their voices, children learn how to use their voice and that their voice has power. This lesson is reinforced when adults take their voice seriously and responding in a way that values their perspective as truth. What are the benefits for children when the adults in their lives actively listen and give children the opportunity to use their voice and contribute? What are the benefits for adults? Dr. Theresa Hawley - For children birth to five, who are literally finding and growing their voices from scratch as they learn language and communication patterns, supporting language development and self-advocacy skills sets the foundation for a lifetime of self-confidence and empowerment. Bryan Stokes - By actively listening to children, adults provide an environment of safety, love and well-being that children need for healthy development. This environment allows them to take risks and learn to negotiate – to ask to try new foods or to be allowed to stay up later to watch a movie – and know that their views have meaning, even if they don’t get their way. In the classroom setting, this means that children develop the confidence to negotiate complex situations without adult intervention. How does the idea of "early and often" apply to helping young people find and use their voice? Bryan Stokes - As a society, we still hold on to some ideas of children being “seen rather than heard” and protest when children use their voice in ways or places that we believe are inappropriate. 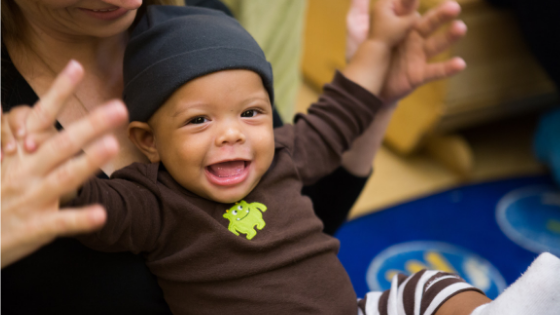 We know that the amount of development that happens in the first five years of life is enormous and rapid in every area, including verbal and social-emotional development. 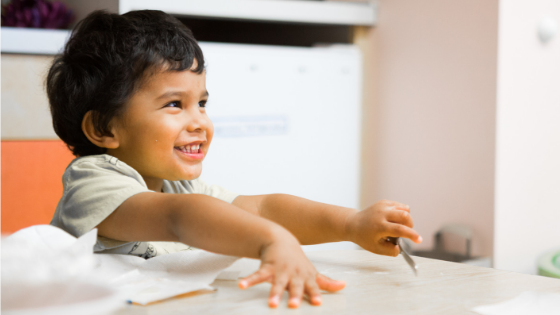 From the earliest ages, children need to be engaged in conversations about fruit at the grocery store or encouraged to talk to the neighbor to retrieve a Frisbee that has gone over the fence, because they are learning critical skills that they will need to use for the rest of their lives. Early and often, then, is a call to all of us as adults to recognize that babies babbling in a movie theater or children asking “why” questions over and over on a plane aren’t disturbing an adult space, but are in the middle of a 60-month crash course on being a part of society.